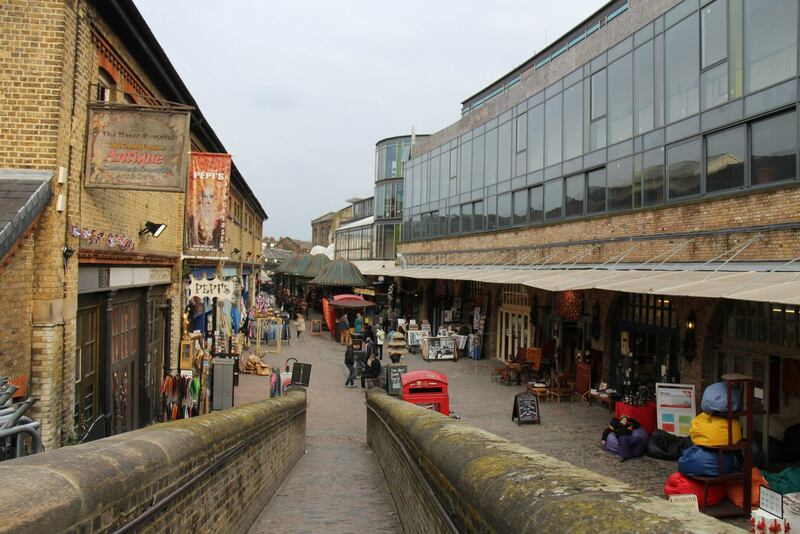 In my most recent trip to London, I went to the Camden Markets three times. It’s one of my most favourite places to go, and not just to shop, but to walk around. I would have to say that it is one of London’s hidden gems for tourists. Even the majority of my British friends had never visited, which I was totally shocked by. The Camden market in Camden Town is definitely a highlight for anyone visiting London, England. 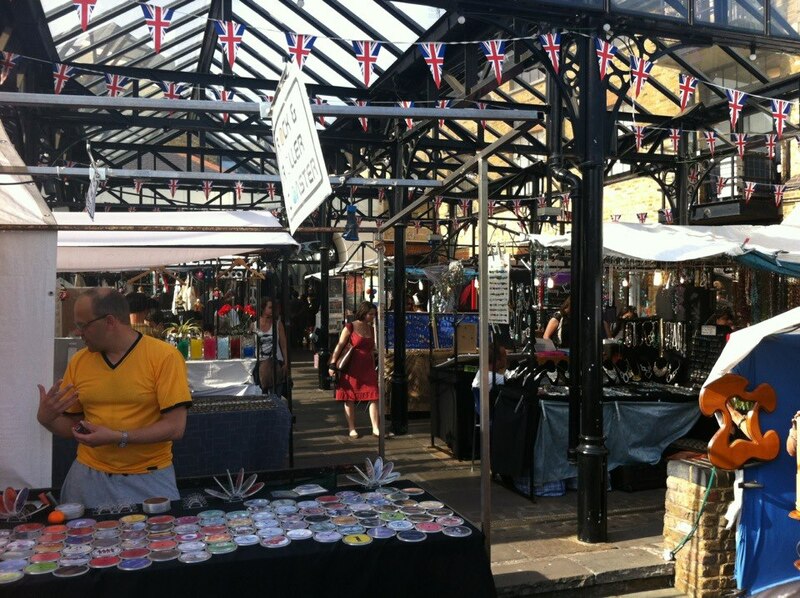 You could literally spend a whole day at the markets in Camden Town; from vintage clothing, to unique antiques, beautiful jewellery, delicious food, and everything in between at reasonable (often cheap) prices. Need a new dress for summer? Camden has it. Need neon clothes to go raving? Camden has it. Want to indulge in delicious homemade sweets? Camden has it. Don’t know what to buy? I’m sure you’ll find something at the Camden market. 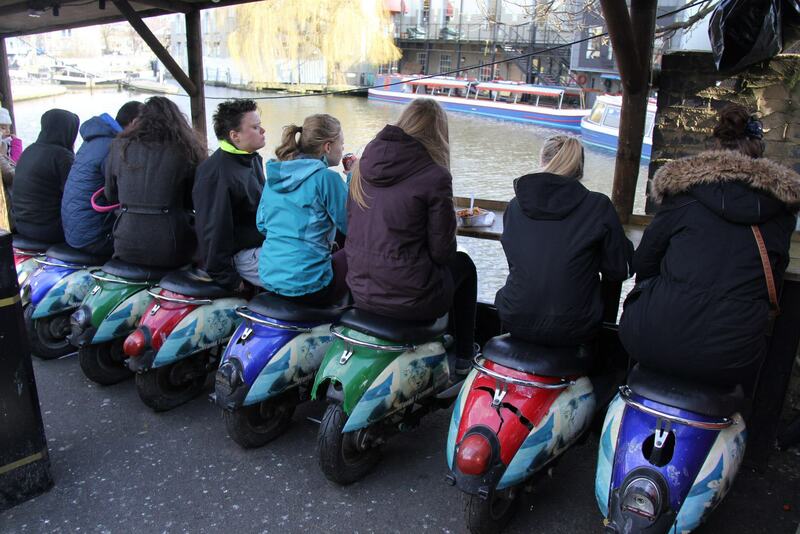 You really has to see for yourself how amazing Camden Town is. Take a friend or your family, and you’re bound to have an amazing day walking around. It really is a great day out in London, for tourists & locals. Camden is in Zone 2 and I would suggest that you not drive here, but either take the Tube or Bus, due to the congestion and limited parking spots. You can get to the Camden Market by getting off at the Camden Town Tube Station on the Northern Line (Black). 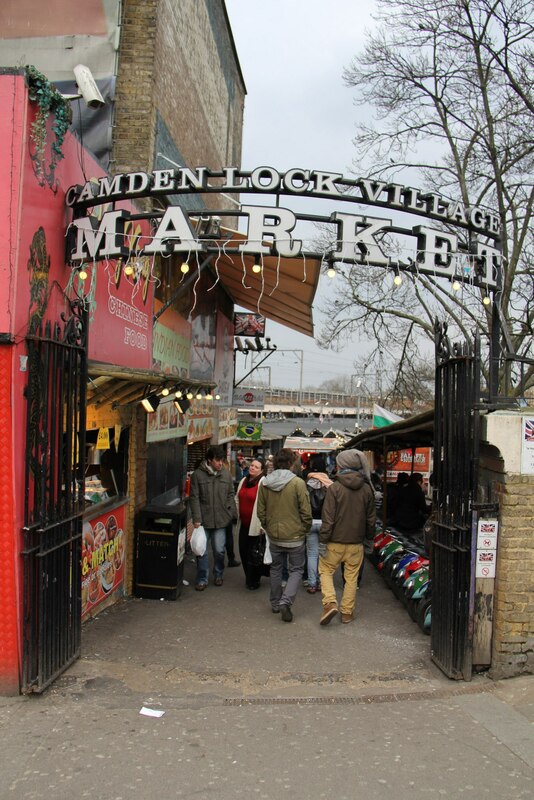 It gets extremely busy at the Camden markets, more so on sunny days or weekends, so be aware that it is a crowded area. BUT DON’T LET THAT STOP YOU FROM GOING! My mother, who is very claustrophobic, managed to have an amazing time at the markets. She even said it was her “favourite thing to do in London”. Apparently visiting me wasn’t her favourite thing coming to London… Thanks mom. 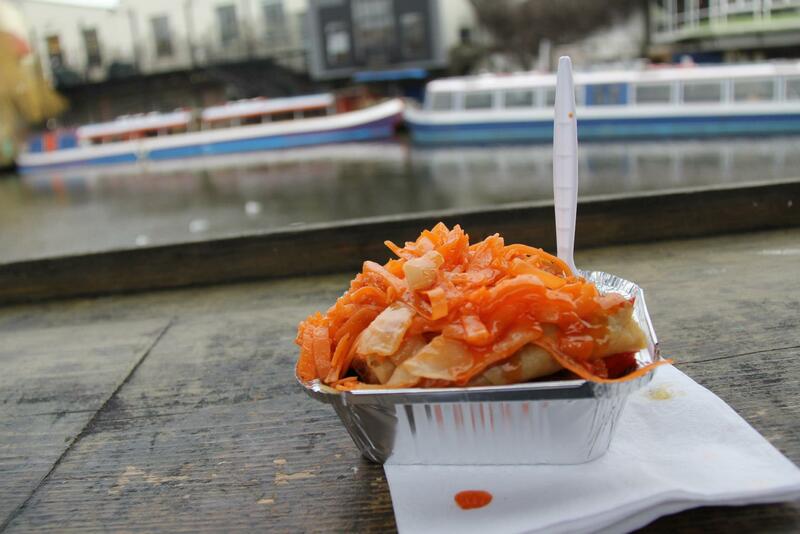 If you are on a budget (like me), I always suggest taking a walk down the Camden Lock Village Market, where you can find an assortment of ethnic and savoury dishes for £4. From Thai, to Japanese, to Mexican, to Indian, this area near the water has a variety of choices to have a nice lunch at a reasonable price. 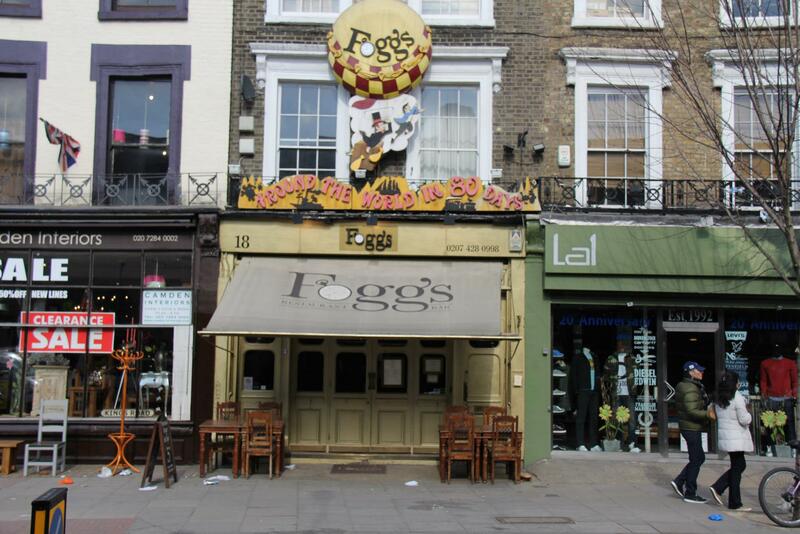 If you are with your family, or want to go to a restaurant near by, I would highly recommend checking out Fogg’s for some delicious British cuisine and amazing burgers + chips (fries) under £10. I took my mother and grandfather here and they really enjoyed the food and service. 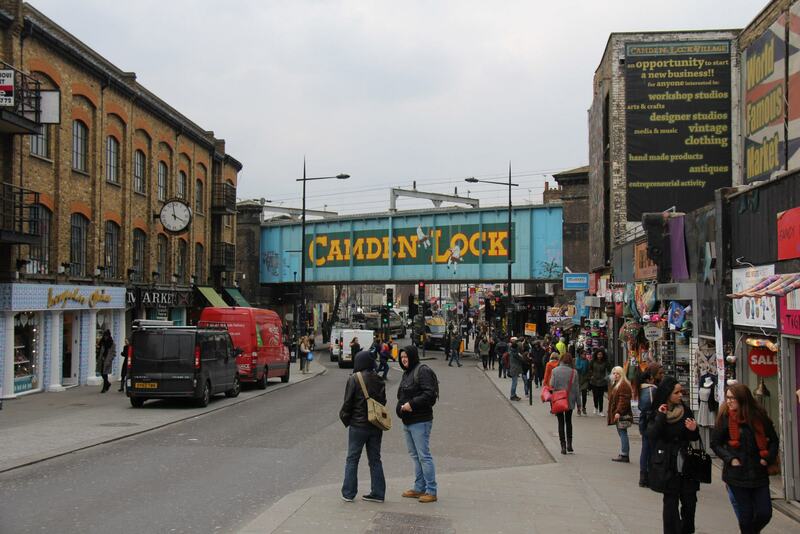 It’s located on the main street of the camden market and shops. P.s. 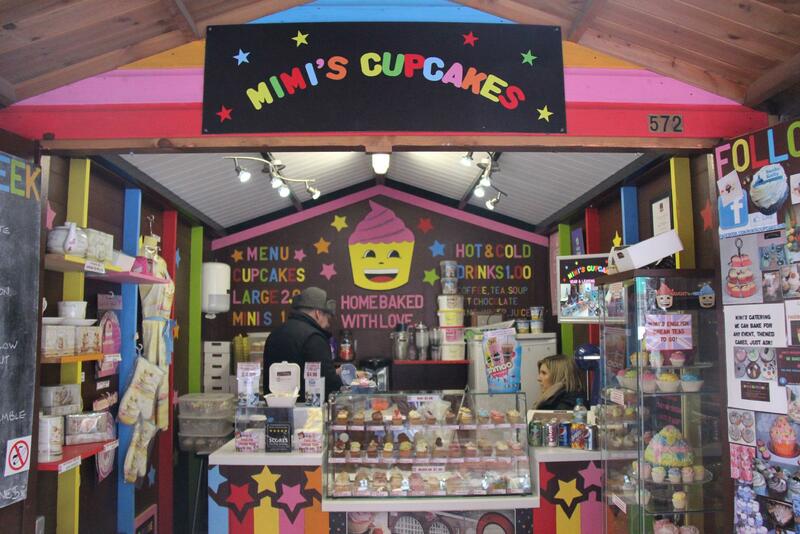 Stop by Mimi’s Cupcakes in the Camden Market for one of the best cupcakes you’ll ever have! For £1 you can get a mini cupcake of any flavour! They have some of the most delicious flavours like Oreo, Bubblegum, Chocolate Fudge and Wild Berries (my fav). And no, I wasn’t paid to promote this shop; they just have the best darn cupcakes I have ever had and feel the need to share it with those who visit the Camden Markets! 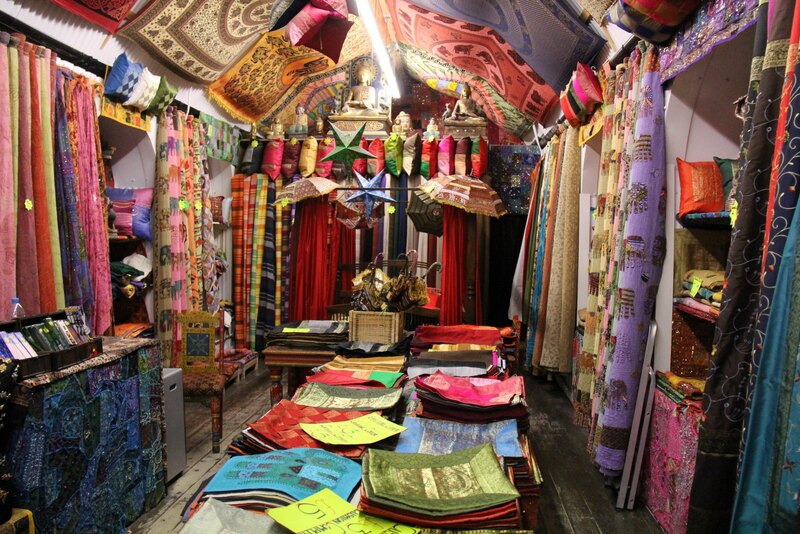 Have you been to the Camden Market? Do you plan on visiting? 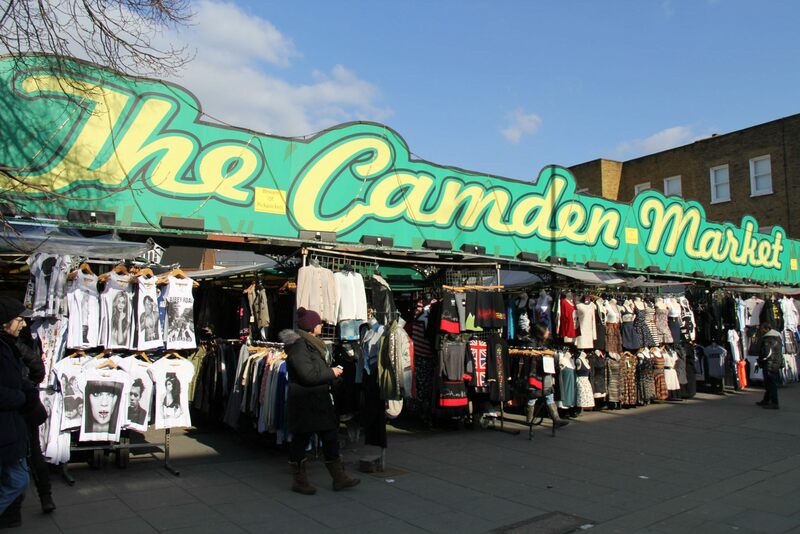 What’s your favourite place to shop or eat in Camden Town? Comment down below because I’ve very interested in knowing your time in Camden! 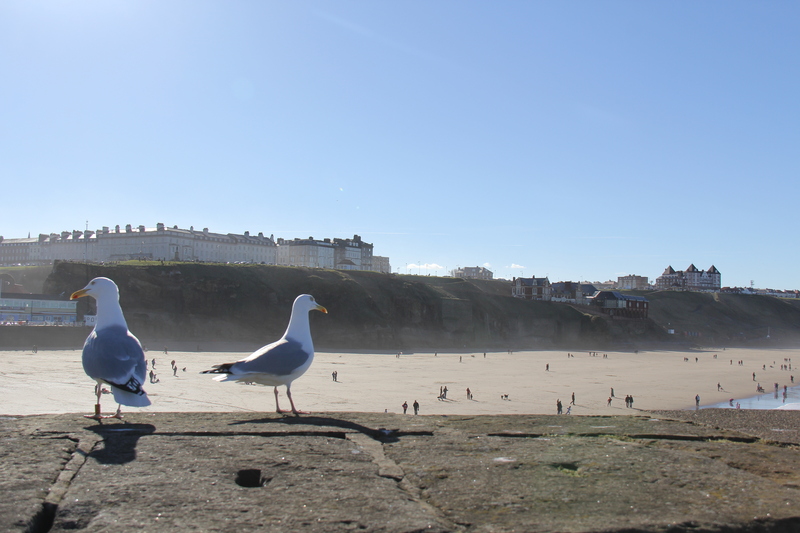 The beautiful seaside town of Whitby is situated on the east coast of Yorkshire in the Borough of Scarborough. 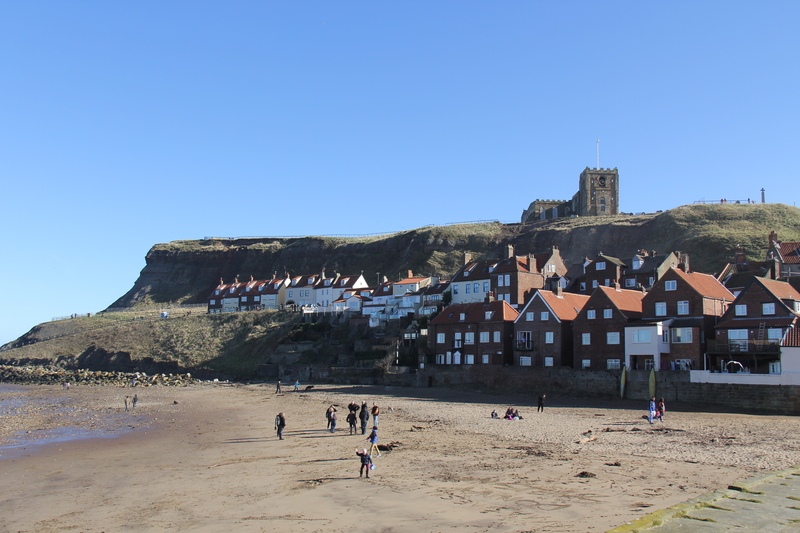 With a beautiful historic Abbey located on the high ground of the North York Moors, the seaside town is surrounded by a gorgeous harbour and alluring fishing port that emerged during the Middle Ages. 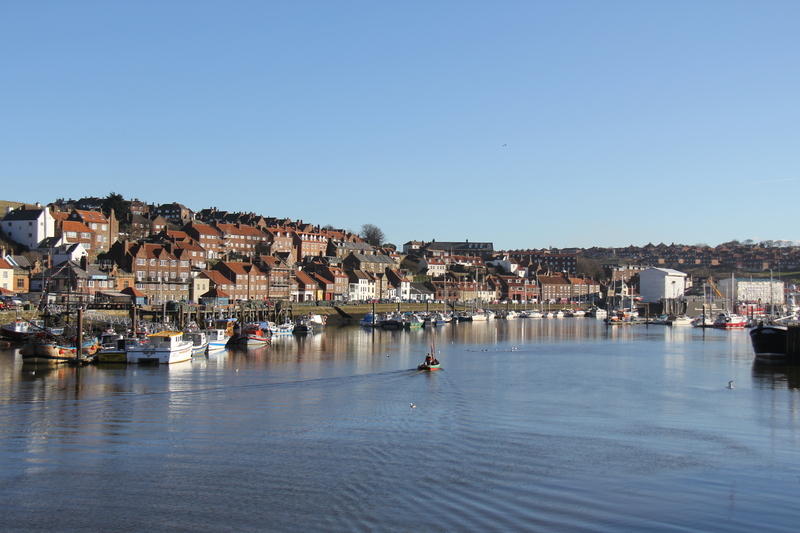 I visited Whitby on an incredibly sunny and warm March afternoon and I firmly believe that it is a fantastic town to visit for a day trip or getaway weekend trip during superb weather. 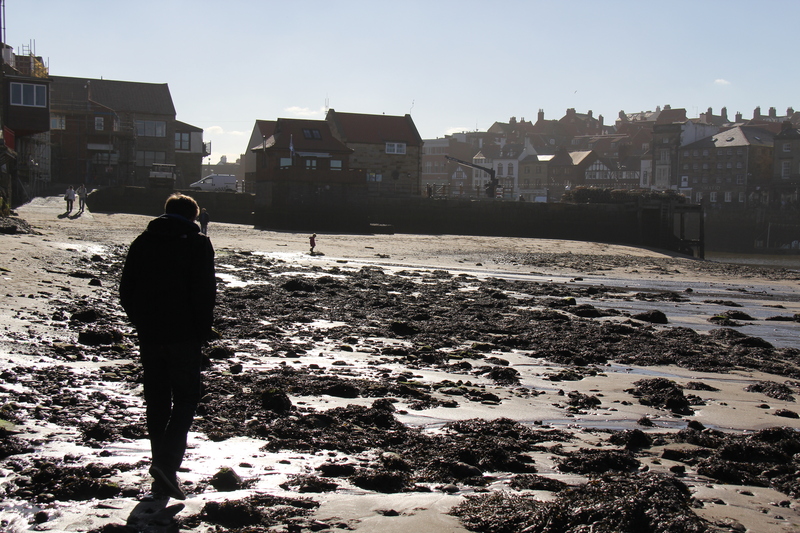 Traveling to Whitby for the day was just the thing I needed to relax and enjoy the beautiful seaside landscape of England. From walking along the pier and extended fishing port to eating traditional British fish and chips from vast amount of “Voted England’s #1 Best Fish and Chips” venues, Whitby is just one of those tourist locations in England that everyone should see and experience. How To Get There: There is a train station as well as coach services located in the heart of Whitby, so getting there isn’t that difficult through this sort of transportation. 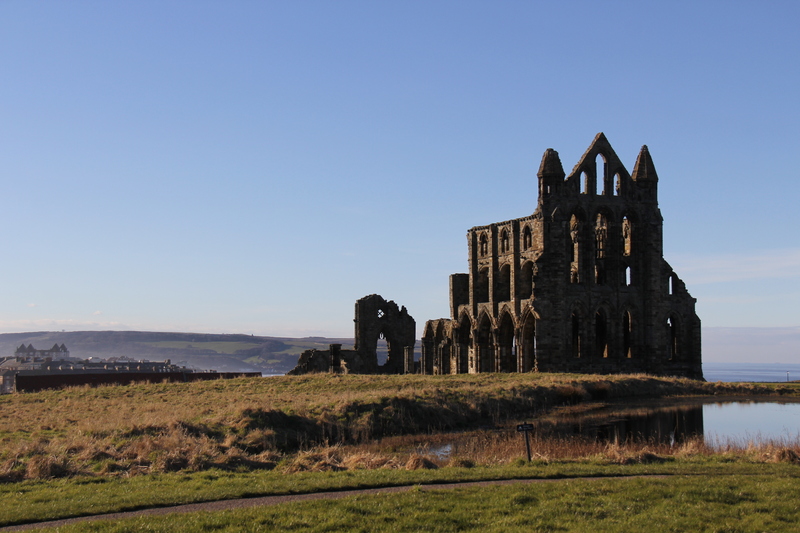 If you plan to drive, the best place to park your vehicle for the day would be the car park near the Whitby Abbey situated on the high grounds of the city. 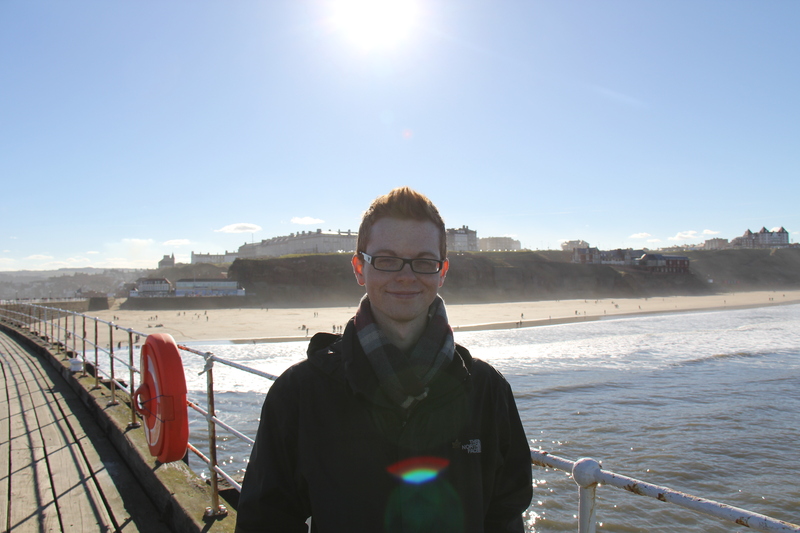 I paid £4 for 6 hours of parking, which was enough for me to see the Abbey, walk along the harbour and beach, shop throughout the shambles, grab some traditional fish and chips while sitting along the water enjoying the views, and experiencing a variety of other activities and sights. Beware of seagulls. Check out the Whitby Lifeboat museum & learn about the history of the many lives saved from this station! 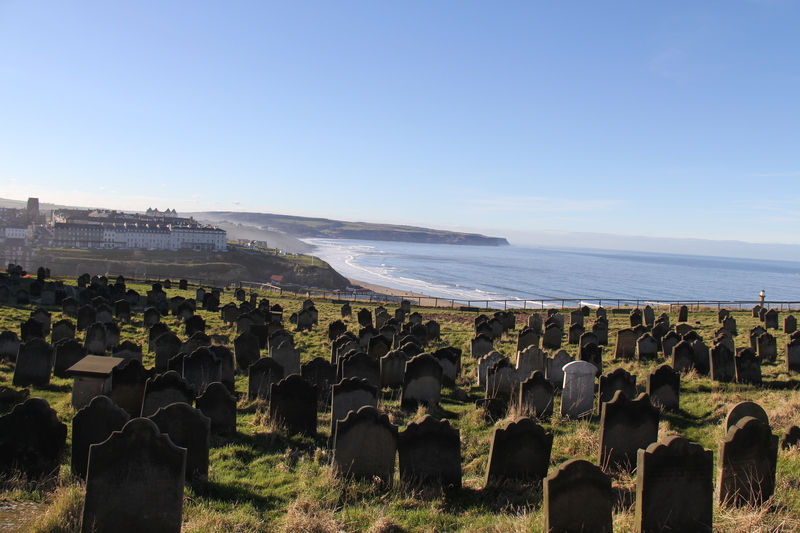 Overall, Whitby is one of those towns in England that I highly believe should be visited by every tourist who is in England long enough to experience such a beautiful and historic seaside location. Not too mention, the best place to indulge in some traditional British fish and chips while enjoying the breath-taking views of the east coast of England. Last week I got the oppourtunity to go on a day trip to the historical and quaint town of Lincoln, located in Lincolnshire in England. 1) Steep Hill READY FOR SOME EXERCISE? Good! Because that is indeed what you will get by walking up this well-known hill! 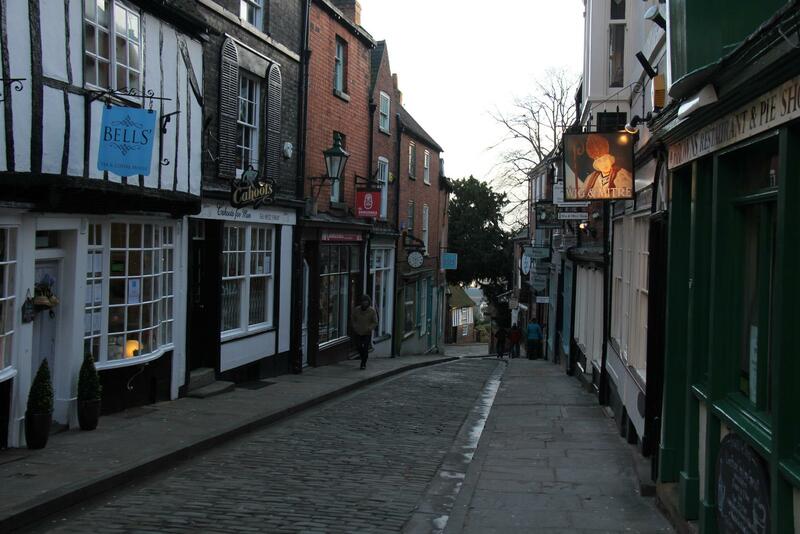 Named after it’s steepness, this hill contains a variety of little shops selling a variety of used books, homemade chocolates and sweets, as well as restaurants! Steep hill is a lovely old street that is easier going down it, then up it! However, to get to the Lincoln Cathedral and Castle, one of the ways is to go up Steep Hill (or take the bus up… but that’s a secret I’ll never tell). 2) Lincoln Castle One of my favourite sights, and the place where I spent most of my day was the very beautiful and historic Lincoln Castle. The castle is also steeped in history and is located straight across from the cathedral. It’s around £4 for students to enter and £6 for adults and the pass is good all day. 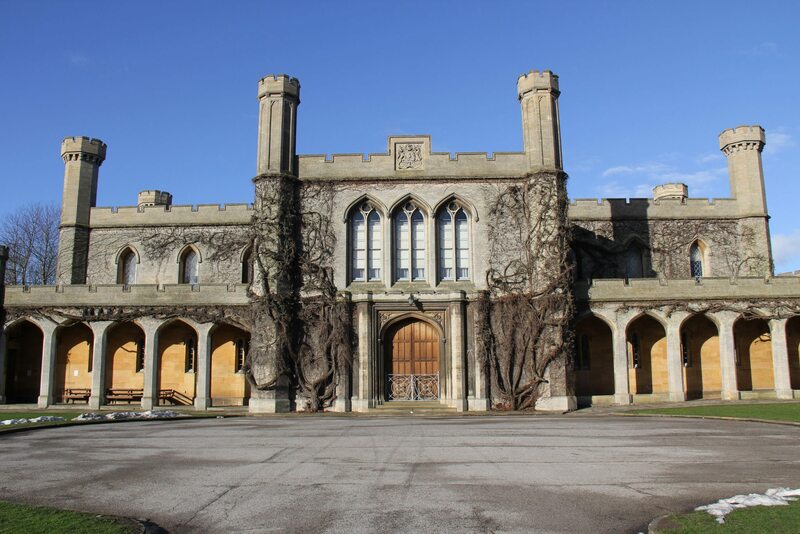 Within the castle walls, they have a beautiful court building which is still being used today, as well as the Lincoln prison! 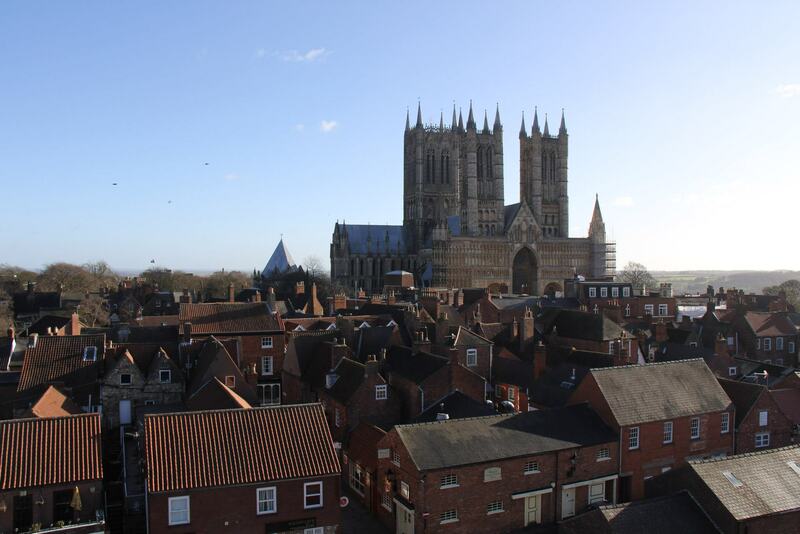 Not only can you walk along the historical castle walls and get amazing photos of the Cathedral and the town of Lincoln in general, but you can also get a free guided tour of the castle that was extremely informative of the castle and of Lincoln in general. One of the castle’s largest attractions would be the exhibition where one of the four remaining Magna Carta’s resides. It was really interesting to learn about the Magna Carta and the history surrounding the important document, and not to mention, actually seeing it! The Castle was one of my favourite places to visit in Lincoln and I highly recommend it! 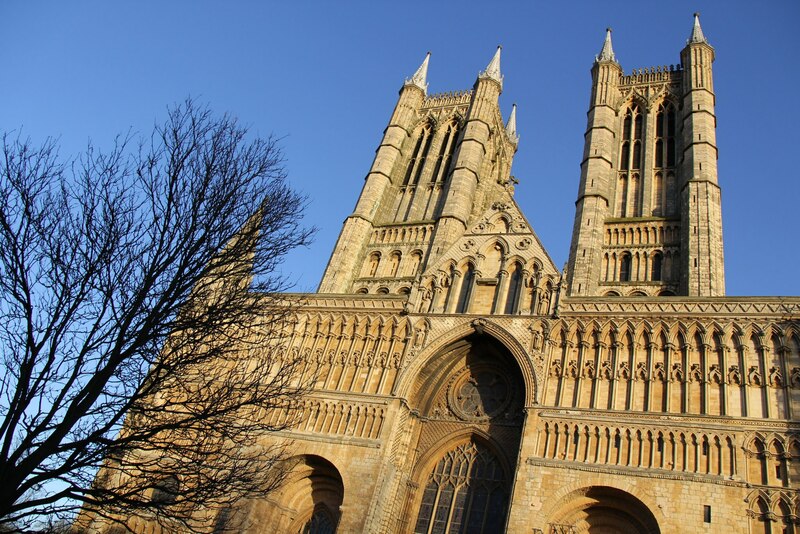 3) Lincoln Cathedral of St. Mary Standing on top of Steep hill stands the magnificent and well-constructed cathedral of Lincoln. This is a must-see when visiting Lincoln as the inside (as well as outside) is carved in enormous amount of detail. The rose windows and stained-glass is also a beautiful sight to see. You get to see the majority of the cathedral, however, you unfortunately have to pay to see the front alter, choir and chapels, however, you can attend a service and avoid paying the 6 pound price. The cathedral is very atmospheric, and darkening. This cathedral is steeped in history and have been told it’s well worth paying for the audio guide. 4) Museum of Lincolnshire Life As explained by a few locals and highly recommended by others, this museum located next to the Ellis Mill, and in the close proximity of the Cathedral and Castle, is a gem for vistors! In addition to it’s very historic and informative journey of the Lincolnshire life, it also comes at a cheap price of FREE. Yes, that’s right. Free museums are the best, especially if you have a family and have to pay those often ridiculous museum prices! ~Beware that the museum is closed on Sundays. 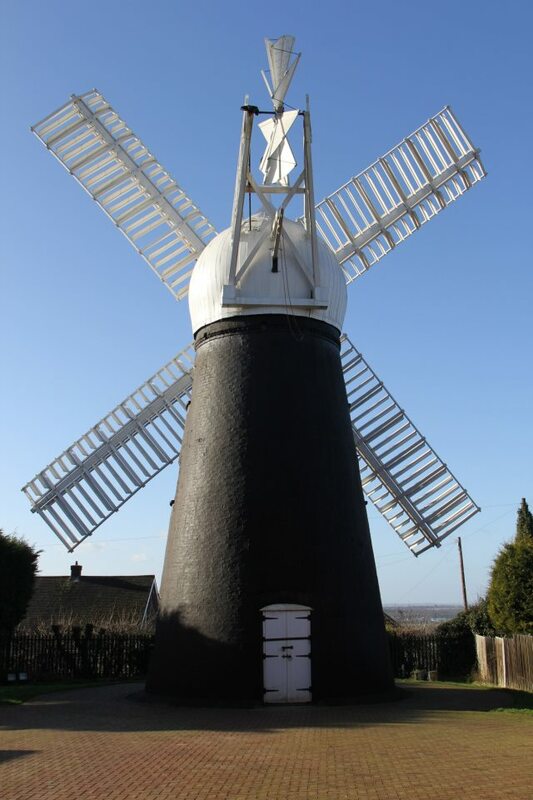 5) Ellis Windmill Located behind the Museum of Lincolnshire Life is Ellis Windmill! Dated back since 1798, this unique windmill is still in full working order and ran by a group of devoted volunteers! It’s a sight to see, especially since this was the first historic windmill I have seen in England. Do you ever plan on visiting Lincoln or have you already been there? If so, what was your favourite part of Lincoln? 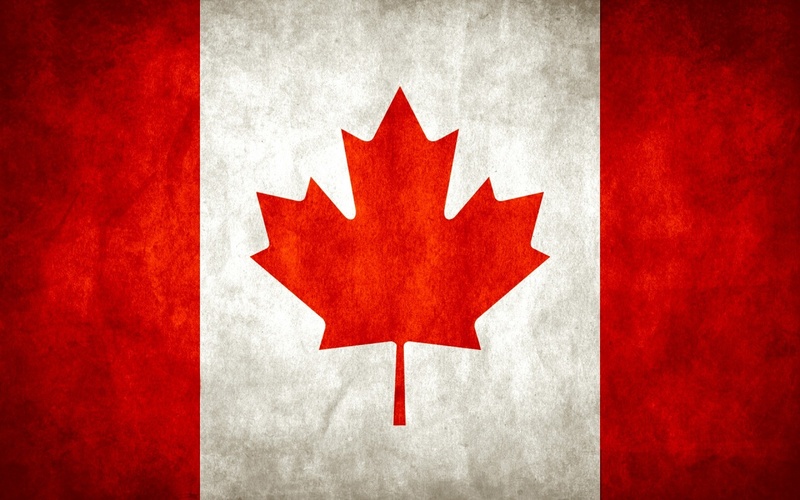 Any recommendations for future travellers?